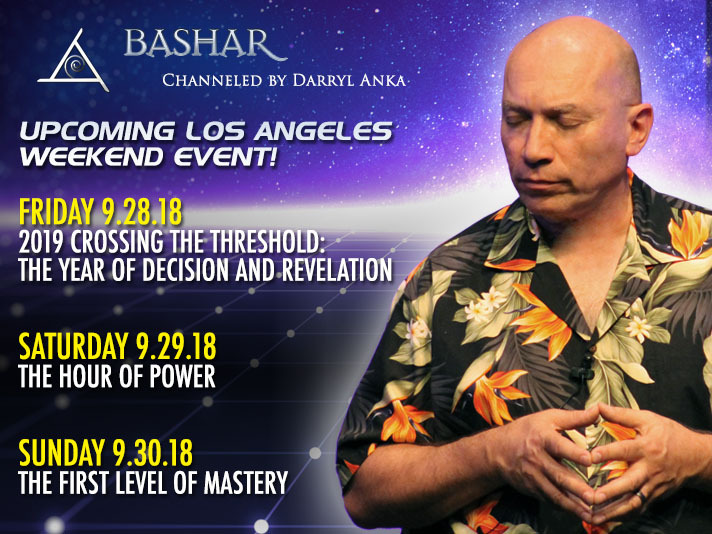 Bashar Los Angeles Weekend Event – September 28 – 29 – 30, 2018! Bashar returns to Los Angeles for a September weekend intensive event! A new transition point is coming up now! It’s important to be ready for the upcoming changes! The theme … Continue reading Bashar Los Angeles Weekend Event – September 28 – 29 – 30, 2018!